Dahua IP intercom: VTO3211D-P2 (new P & P4 ) door station - experience, review, firmware support? Discussion in 'Dahua' started by int, Mar 4, 2018. I am currently looking into VTO3211D-P2 as the IP intercom for a two unit home. It is a compact intercom / door station for two units - runing over IP (or to be more corect POE). 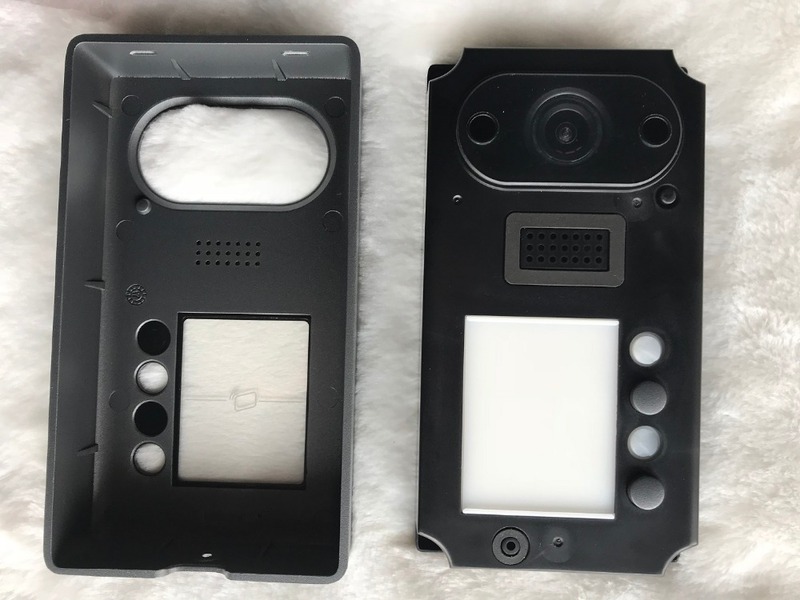 It features 2 mio camera with 140 degress coverage. etc. Up to 4 four buttons planned but not exposed? Unfortunately there is not much information about this device besides some technical data at all. I only stumbled about Steff's informative post here in the forum. I am interested in reviews, experiences with that devives and the pro and cons. As well as good sources for uptodate firmware. language support etc. Where to buy, sources... etc. 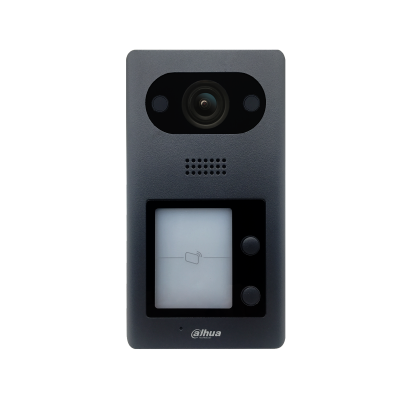 Some Dahua firmwares for video intercom can be found here. But so far no sign of firmware for the VTO3211D-P2 - which seems to be NOT compatible with the VTO2000A firmwares found. Intrusion / sabotage switch - that triggers an alarm noise from the speaker.. sort of. For now I’ll only order it without VTH and will see how it works with the iDMSS app and my Dahua NVR. Thanks for sharing! Any idea when he will got it? ;-)! Do you buy it then through the/his ali channel !? I am really interested in your experience! is there any source somewhere for the firmware for the VTO3211D-P2!? - Does anyone know how the hardware differs from the VTO2000A !? - Would there be a chance to interchange firmwares ? Don’t know when he’s going to get it. He has to book it from Dahua and it depends on them how long specific items take. I assume I’ll buy it directly from @EMPIRETECANDY with PayPal. Always hat good experience with Andy, so no worries about making order directly. And in worst case you have the PayPal protection. I might do the same. I already contacted him. I am also interested in indoor stations. Lately customs got quite strict here in Germany... I suppose... Any worries there!? Unfortunatly the Dahua intercom monitors don’t work with standard POEs. At least my VTH1560CS didn’t work. - power with an injector. Since my monitor is yet not mounted properly/finally I currently still use an 12V power adapter. I was afraid so... But I can live with it... I guess. What voltage do you supply 12V!? But I guess you are right @Crazykiller to assume that theses wires are used. I believe it is just a passive POE following the 802.3af, mode B cabling standard. Nevertheless I read somewhere that it has a proprietary...way of supplying the power. The technical data states 45W in total - but does say what voltages are actually supported. hello i'm new on this forum, i test this VTO3211 in all way. all i can tell is that the best VTO from Dahua. - when you use the 2 buttons for 2 appartement for exemple, you can have notification on smartphone each one. (that is very very good). - and 100 other good stuff. for answer to the last com, the firmware doesn't the same that VTO2000A have, if you upgrade with this firmware you will brick the VTO. i ear from dahua that a global firmware will release very soon but only English for moment. Crazykiller and int like this. Thanks for your post here. Glad to hear that you quite happy with it. It seems that I will put my money on it as well despite the lack of wide spread reviews. So you say there a contact which is connected when someone rings? So one could add e.g. another kind of doorbell to it!? Or trigger something else (e,g. a light switch)? I guess here you can also see a setup of VTNS1060A - which in this case seem to be powered by another POE (standard?) switch? The two buttons... I believe there will be a version with four buttons (at least the space seems to be provided...). How long are you using it? Any issues so far!? Does it run a reboot very night? Any experience how it handles outages!? One question - are you using the ID card feature? Did you also power your VTH with your PoE switch, or only the VTO? sorry for my bad English i'm french, the relay is at the back of VTO you have to use the cable in the package to connect near the RJ45 connector. after that you have to enable on web interface of VTO. in fact in you vidéo you have 3 VTH1550CH with old firmware, this firmware doesnt works with VTO3211, you need the last firmware for VTH1550CH or use VTH5211CH who use the good firmware. if you use VTH5221CH you can powered with classic POE switch, not need VTNS1060A. the VTNS1060A its only for VTO2000A and VTH15XX series. for the reboot you can choose reboot all day, or one specific day. Thanks for the hint with the WiFi indoor station. Didn’t had a look at them before. But with normal PoE would be preferred. costib, int and Steff like this.